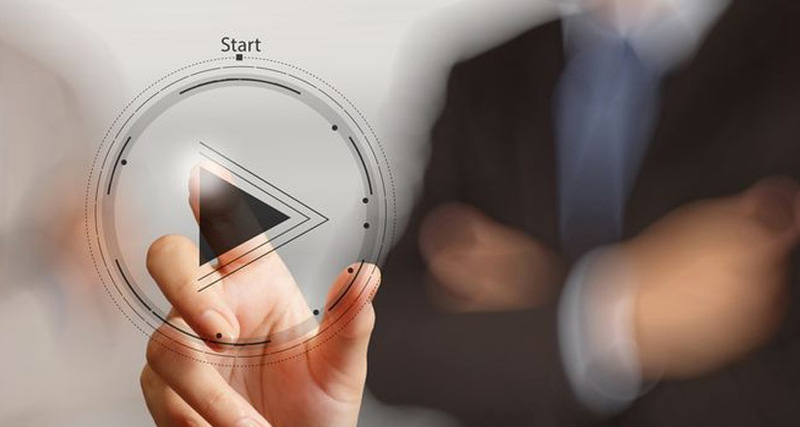 As the value of video marketing continues to grow rapidly, it’s becoming more and more important (and hugely beneficial) to include these visual tools in the marketing arsenal of any organization. We know that many people gravitate to videos while online, either searching for information or resources or evaluating different organizations. This is because watching a video is often preferable to reading a page of text, and video delivers a more integrated and valuable way to deliver your message and engage with your desired audience. As they say, pictures are worth a thousand words. If that’s true, video must be worth 10x that! A video in an email leads to a 200-300% increase in click rate, according to Forrester Research. These findings are interesting and should be more than sufficient to compel every business owner and marketing executive to seek more, and new, ways to incorporate video into their marketing initiatives. There are at least three main types of video to include in your marketing strategy. Professional videos are polished, high-quality videos shot by professional camera crews and edited into sleek videos. These videos will typically be shot on location or in-studio in one or more days often using multiple cameras. Significant effort goes into producing and editing what will turn into a finished product of just a couple minutes at most. Common uses for professional videos include interviews of company executives or customers, company overview videos, product demos, industry news and more. Professional videos are often used to help build and distinguish an organization’s brand and expand its visibility. Producing this type of video can be quite expensive and take a rather long time to plan, produce, shoot, edit and finalize. These videos are intended to be widely used and often meant to last for a period of time. This is a result of the time and effort to produce these videos as well as production cost and effort. On the other end of the cost/effort spectrum is living streaming video and social videos. These are often shot using a mobile phone or other mobile video tools, such as the camera on a laptop computer or a GoPro camera. There is typically little, if any, editing of these videos. This type of video is usually self-produced and intended to be used just once or a couple of times, often posted on social media platforms like YouTube, Facebook, LinkedIn, Instagram and Twitter. These would often be shot and directly uploaded to live-streaming platforms like Facebook Live and Instagram Stories. Live-streaming / social videos are great for news items, events, customer testimonials, product demos, industry news, promotional spots, etc. The cost of these types of videos is virtually zero since there is no professional cameras/crews and these videos are often directly uploaded to social media platforms. While there is generally lower production quality, the message is still highly effective, compelling and beneficial. The third important type of video is often referred to as content-driven video. These videos are often recorded straight from a computer without the use of a camera. Like the previous type of live-streaming / social video, content-driven videos are produced at virtually no cost. These content-driven videos might be animated or built around images and text. They may be similar to a slide presentation with some sort of audio (spoken or musical) soundtrack to accompany the video. Also like Live-streaming / social videos, content-driven videos are appropriate for news items, events, customer testimonials, product demos, industry news, and promotional spots. Content-driven videos can also be a great “companion” to blog articles, whitepapers, brochures, and other useful written material. One of the main ideas with content-driven video is that you are providing useful information in an easy to digest, video manner which many people prefer to read text. Video is compelling and useful because many people respond better to the verbal delivery of information with visual motion, then they do to written text information. Video can increase demand conversions on the web by significant levels. For example, including a video on a landing page can increase conversions by 80%. If we know that video often has some positive level of impact on the decision making of our potential customers, we would be wise to embrace these new, often-cost-effective, communication techniques.